Our oceans are in crisis. The latest numbers show a dramatic decline of 49 per cent in the size of marine populations between 1970 and 2012. 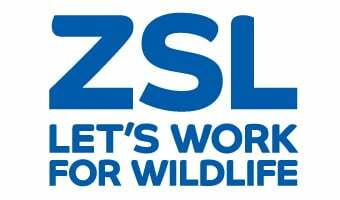 Find out how ZSL is helping, and how you can too. Acropora palmata, an EDGE coral species. Image (c) Erik Brun. Human activity has a serious impact on marine life, and the consequences are becoming clearer every day. Over-fishing, pollution and climate change have triggered major declines in our marine life. This does not only pose a threat to our environment, it is a threat to our food security – the Scombridae family of fish, including tuna and mackerel, has seen a global population decline of 74%. Coral reefs: Coral reef cover – has decreased by more than 50% over the last 30 years. Scientists in ZSL's Indicators and Assessments team conducted a thorough analysis of data from our oceans, which can be read in detail in WWF’s Living Blue Planet report. Read it here. According to a recent study, globally 13 million tonnes of plastic waste enters our ocean every year, threatening species from turtles to seabirds. Reduce your plastic use, and recycle what you do use. If you consume seafood, make sure it is sustainably sourced. You can use online tools such as fishonline.org. Ghost crab on Chagos beach. Chagos – we were an instrumental partner in the establishment of the largest no-take marine reserve around Chagos, twice the size of the UK. Our research is helping management of this reserve and understanding of how well it protects mobile species like tuna, sharks and seabirds. Net-Works – ZSL is a key partner in this innovative project which sees local communities collecting discarded fishing nets, a major threat to marine life, from the ocean and selling it into the supply chain to be made into carpet tiles. Mangroves – the latest figures show a 20% loss in mangrove cover between 1980 and 2005. We’re working to protect and restore mangroves in the Philippines. Over a four year period, close to 100,000 mangroves were planted and we are now integrating mangroves into Marine Protected Areas. Support our marine conservation work by becoming a member of ZSL, or joining our Wildlife Champion scheme.